Custom-Made Aquariums - Living Art Aquatics, Inc. Living Art Aquatics Inc. has been creating custom-made aquariums in Crystal Lake, Illinois for over 20 years. We craft the highest-quality aquariums possible to bring new life to any space. Our unwavering commitment to customer service guarantees that we’ll be with you every step of the way. From the initial design, to the installation, to routine maintenance, we’re happy to assist you with any part of your custom-made aquarium. Whatever your vision, we can bring it to life! We want to make sure your aquarium looks great in the space you choose. Knowing where your aquarium will reside will guide some of our design choices. 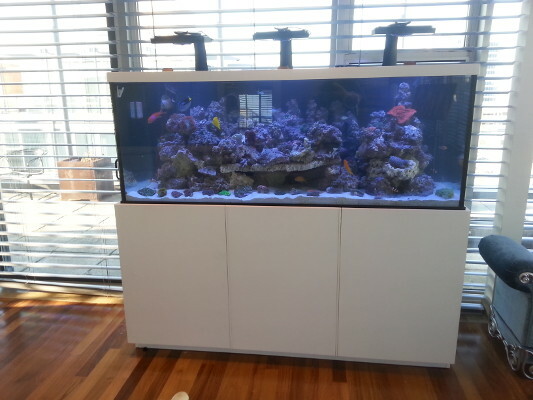 Once installed, aquariums can be challenging to move. We’ll help you choose a functional space where you can enjoy your tank for years to come. Choose from many shapes and sizes. When designing your aquarium, you can pick from a wide variety of shapes for practicality and style. Our exerts will help you design an aquarium that enhances your space. Consider the differences between saltwater and freshwater aquariums. Saltwater tanks offer an exotic array of aquatic life, while freshwater tanks tend to be more affordable. We’ll help you weigh the pros and cons of both before you make your decision. When designing our aquariums, we strive to create functionality for future care and maintenance. Once we understand your vision and goals, we’ll dive into the nitty-gritty logistics of plumbing, electric, lighting, filtration, and circulation. From there, we’ll finalize a design that is not only beautiful, but will be a healthy and thriving environment for your future aquatic life! If you are looking for custom-made aquariums in the Chicagoland area, contact us today at (847) 737-5151!